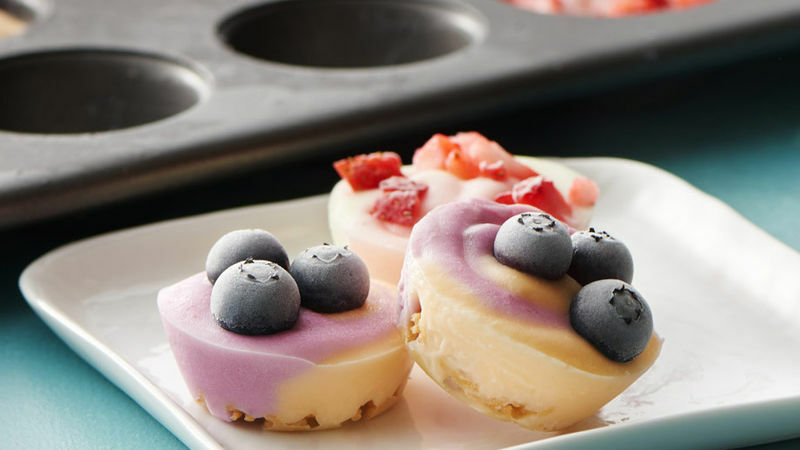 You can create your own tasty bites using different yogurt combinations, or just use one yogurt to simplify the recipe. Other Chex™ cereals also work well in the recipe for the crust. The recipe can be halved easily. You can mix and match the fruit on the yogurt cups; for a pretty presentation, use coarsely chopped strawberries on the strawberry-lime cups and about 3 blueberries on the blueberry-orange cups. They are pretty enough to serve guests!